The ramifications were visible from day one, with major U.S.-media outlets including the LA Times and Chicago Tribune were forced to shutter their websites in parts of Europe. People in the bloc have been bombarded with dozens of emails asking for their consent to keep processing their data, and a privacy activist wasted no time in taking action against U.S. tech giants for allegedly acting illegally by forcing users to accept intrusive terms of service or lose access. The European Union General Data Protection Regulation (GDPR) replaces the bloc's patchwork of rules dating back to 1995 and heralds an era where breaking privacy laws can result in fines of up to four per cent of global revenue or US$23.5 million, whichever is higher, as opposed to a few hundred thousand euros. European privacy regulators signalled that they were ready to flex their muscles but were not "sanctioning machines". “This (forced consent) is an issue that we will be looking at immediately, and work is already underway," said Helen Dixon, head of the Irish Data Protection Commissioner, which will be responsible for policing U.S. giants Facebook and Google, among others. 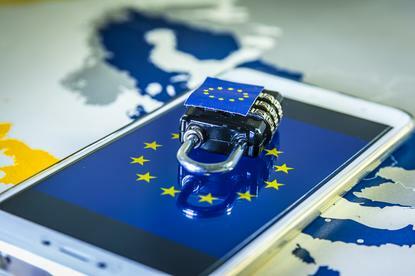 Many privacy advocates have hailed the new law as a model for personal data protection in the internet era and called on other countries to follow the European model. Critics say the new rules are overly burdensome, especially for small businesses, while advertisers and publishers worry it will make it harder for them to find customers. The GDPR clarifies and strengthens existing individual rights, such as the right to have one's data erased and the right to ask a company for a copy of one's data. But it also includes entirely new mandates, such as the right to transfer data from one service provider to another and the right to restrict companies from using personal data. "It's a gradual and not a revolutionary kind of thing ... However for many companies it was a huge wakeup call because they never did their homework. They never took the data protection directive seriously," said Patrick Van Eecke, partner at law firm DLA Piper. Activists are already planning to use the right to access their data to turn the tables on internet platforms whose model relies on processing people's personal information. That means companies have had to put in place processes for dealing with such requests and educating their workforce because any non-compliance could lead to stiff sanctions. Studies suggest that many companies are not ready for the new rules. The International Association of Privacy Professionals found that only 40 per cent of companies affected by the GDPR expected to be fully compliant by 25 May. It is unclear how many provisions of GDPR will be interpreted and enforced. European regulatory authorities, many of whom say they are under-funded, will oversee the new law, with a central body to resolve conflicts. One key provision of GDPR, the right to data portability, is causing particular confusion. "I think the data portability rights are pretty significant and are going to take a while for people to figure out what the bounds of them are and how to go about complying with them," said David Hoffman, associate general counsel and global privacy officer at Intel. For example, music streaming services such as Spotify create playlists for users based on their music preferences. While a user seeking to exercise the data portability right would be able to move playlists he or she created, the situation becomes fuzzy if the playlists are created by the streaming service using algorithms. "It's not obvious that you can necessarily migrate the data from your system to somebody else's system," Tanguy Van Overstraeten, of Linklaters, said. Data processors which only process or store the data on behalf of their clients, for example cloud computing providers, will be directly liable for sanctions and could face lawsuits from individuals, and that needs to be reflected in contracts.